Reprinted with permission from Training magazine, Lakewood Media Group. Copyright January 2011. Congratulations to all of the winners! Especially to the awesome team at Paychex - you guys rock! Excelsior, MN (February 8, 2011)—The insurance industry was a big winner this year, as Farmers Insurance and The Economical Insurance Group claimed the top two spots on the 2011 Training Top 125. Training magazine recognized the 2011 Training Top 125 winners with crystal awards and revealed their rankings during a black-tie gala held last night during the Training 2011 Conference & Expo at the San Diego Convention Center. Themed “The Crystal Ball,” the gala was sponsored by Ashford University, Franklin Covey, Harvard Business Publishing, KnowledgeAdvisors, Orrefors/KostaBoda, and Turning Technologies. • The median revenue among applicants was $1.2 billion. The median training budget was $4.9 million, representing 2.9 percent of payroll. • The median number of employees trained per organization was nearly 6,000, with 3,500 trained online via self-study. • Some 96 percent of applicants have a technological infrastructure to support the delivery and management of training. • The median rate of turnover was 11.5 percent, and the median length of service was 7.2 years. • Internal candidates filled a median of 37 percent of job openings, while employees referred a median 22 percent of new hires. • Some 93 percent used employee satisfaction surveys, while 56 percent tied managers’ compensation to the development of their direct reports. 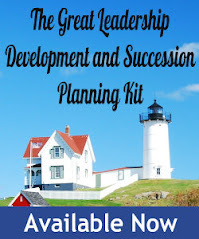 • Some 98 percent used competency maps and personal/individual development plans. During the gala, Training inducted two companies into the Top 10 Hall of Fame. Three-time No. 1 winner PricewaterhouseCoopers and KPMG LLP qualified for the honor by being in the Top 10 of Training’s Top 125 companies for at least four consecutive years. They will remain in the Hall of Fame for a period of no less than three years and no more than five years after which they may reapply for Top 125 awards consideration. PwC and KPMG’s induction created two opportunities for other Top 125 companies to move into the Top 10 in 2011 and beyond. This year, 27 newcomers cracked the Top 125 list. The Top 125 includes ranking based on myriad benchmarking statistics such as total training budget; percentage of payroll; number of training hours per employee program; goals, evaluation, measurement, and workplace surveys; hours of training per employee annually; and detailed formal programs. Companies that wish to be considered for Top 125 ranking complete a detailed application, which is scored both quantitatively by an outside research and statistical data company and qualitatively by Training magazine editors and Top 10 Hall of Fame representatives. For a profile of each of the Top 5 companies on the Training Top 125, additional information about the training efforts of all 125 companies, and Top 125ers’ visions of training in the next five to 10 years, see the January/February 2011 issue. The digital edition and individual articles can be found online at http://www.trainingmag.com/. Training is a 47-year-old professional development magazine written for training, human resources, and business management professionals in all industries that advocate training and workforce development as a business tool. Training also produces world-class conferences, expositions, and digital products that focus on job-related, employer-sponsored training and education in the working world. Training is published by Lakewood Media Group. 5. The PNC Financial Services Group, Inc.
12. Best Buy Co., Inc.
17. Automatic Data Processing, Inc.
27. Suffolk Construction Company, Inc.
40. Miami Cerebral Palsy Residential Services, Inc.
45. Western Summit Constructors, Inc.
46. ABF Freight System, Inc.
49. U.S. Security Associates, Inc.
66. NCO Financial Systems, Inc.
75. G4S Secure Solutions (USA) Inc.
80. Tata Consultancy Services Ltd.
112. McCarthy Building Companies, Inc.
Dan, congrats to you and your company for making the list. Surely, you must feel like you've made an impact! That is awesome news. Being in the insurance industry, I have seen Farmers effort in their training. I am not surprised they are ranked so high.